This is the live update for Pro Evolution Soccer 2018 game. 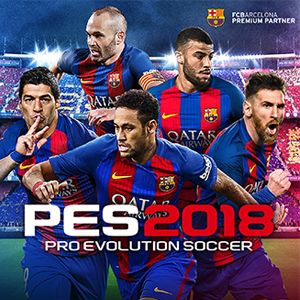 Normally, you can download it from your PES 2017. But some users who can't receive live update from KONAMI can use this file. Unlike previous iterations of PES, in PES 2018 form will be determined by the letters A to E, where A shows the best form and E the worst. 1. Extract the rar file. *ProgramData folder usually hidden, you need to unhide it first ! 3. Now, open your PES 2018 game from STEAM and to activate the need to press the R3 button (it’s the right analog stick).